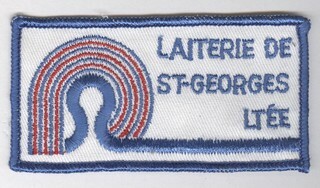 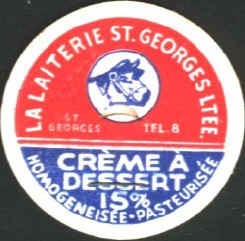 St-Georges Dairy was incorporated june 6, 1944. 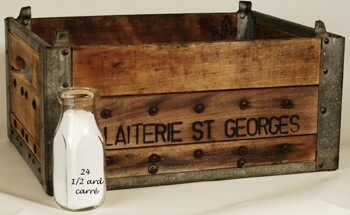 The founders were 3 milkman from St-Georges: Mr. Emile Poirier, Kenneth Poser and Adrien Veilleux. 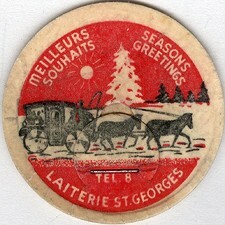 The Dairy started to operate on the 20th of december 1945. 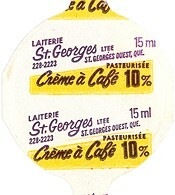 For the first time in the region, pasteurized milk was delivered. 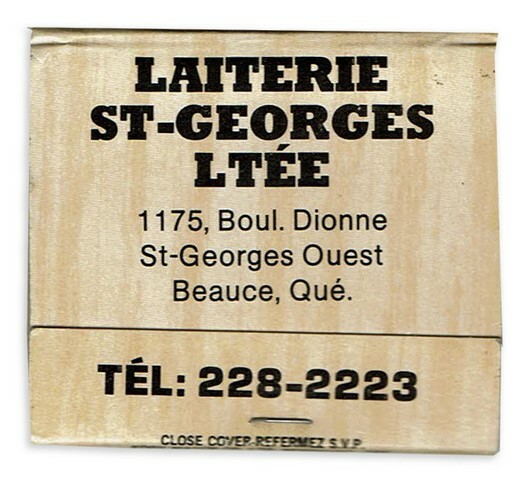 In 1946, Doctor Rodolphe Maheux bought all the dairy shares from Mr. Adrien Veilleux (Adrien might be relative with Gerard Veilleux!) 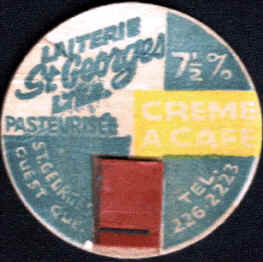 and 2 years later, Mr. Kenneth Poser sold all his shares to 14 producers and 2 employees. 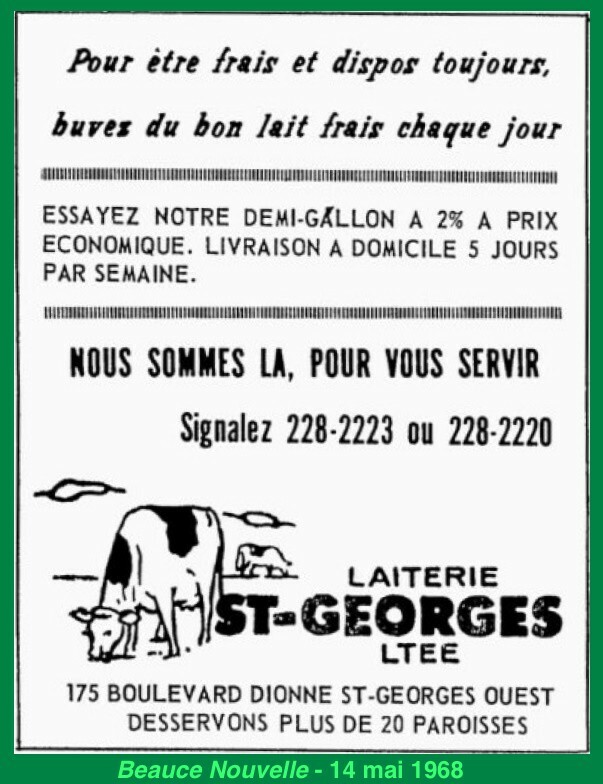 By November 1966, 28 producers from the region are selling raw milk to St-Georges Dairy. 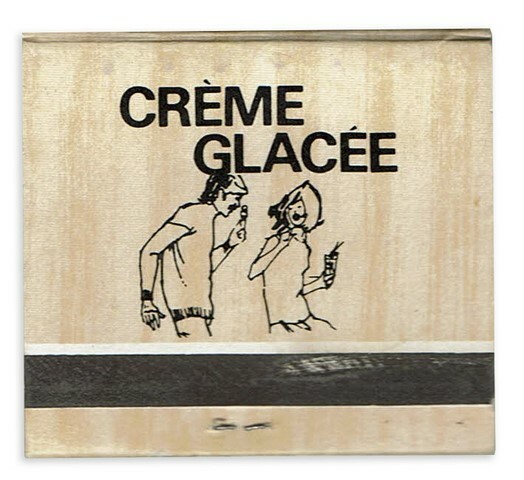 The business produces cream, mix for Ice Cream and chocolat milk "Krim-CO". 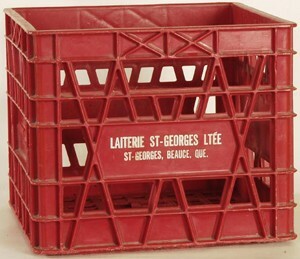 It also distribute FBI orange and grape juice. 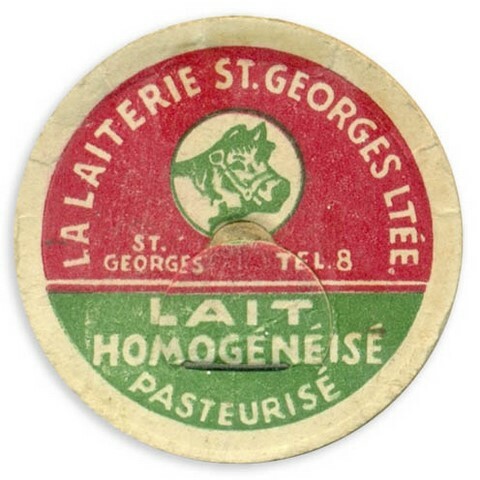 In 1959, the Dairies from St-Martin, St-Gédéon, St-Ludger, Courcelles, Lambton, St-Benoit, St-Honoré and St-Ephrem decided to ask St-Georges Dairy to pasteurize and distribute milk in their own village. 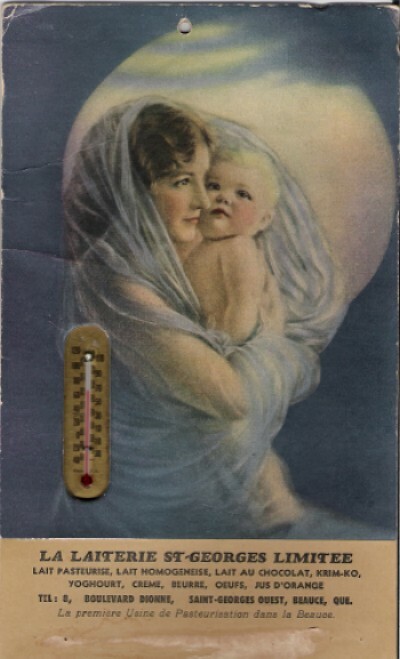 Nine trucks insured the delivery every day. 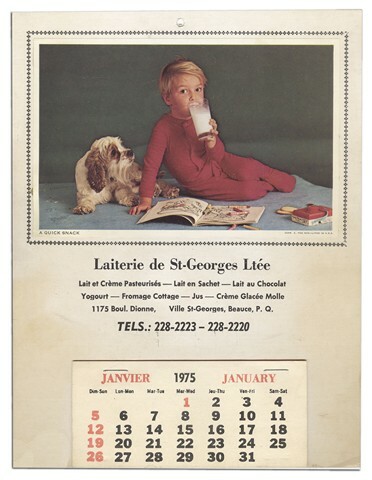 On February 9, 1966, the Dairy moved in a new building situated on Dionne Boulevard. 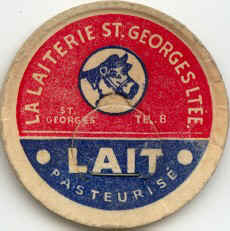 All the machineries were changed and replaced to make this new place the best Dairy of the region. 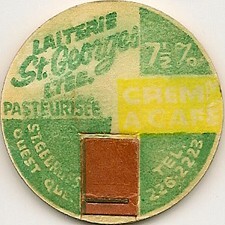 The Dairy adopted a new system called "continuous system" (high temperature system), That was the only one that could be seen in Beauce. 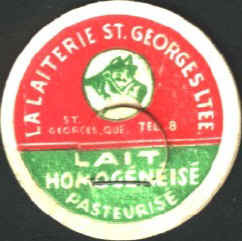 A laboratory was also set up to insure the best quality on all the Dairy products. 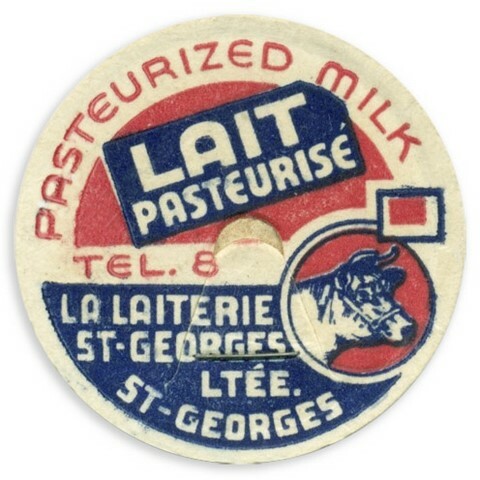 To end this short historic, we can add that this Dairy was one of the 10 dairies chosen by the "Régie des marchés agricoles du Québec" to establish the new price for Pasteurized milk.